Splitting a large project into small chunks makes your work more productive and organized than ever, that’s why we’ve worked on updating our Subtasks. Here’s what’s new. 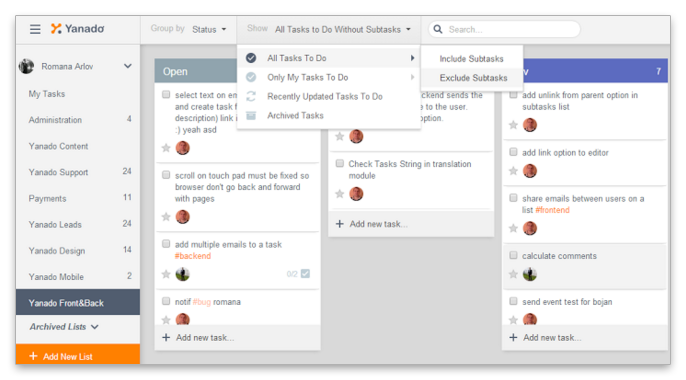 Subtask used to be just a simple checklist in the parent task but we stepped it up a little and now it has all features of a task. It can be an independent task and have it’s own assignees, subtasks, statuses, due dates etc. 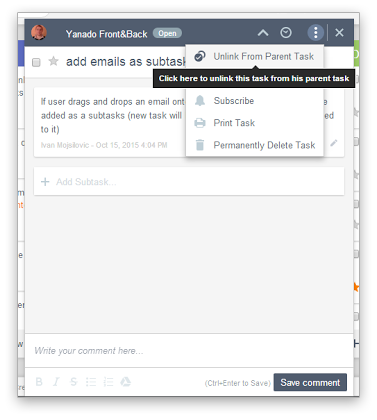 Also, you can now open your subtask from the parent task by clicking on the subtask title. Once you’re in the subtask you can also go back to the parent task by clicking the arrow icon in the upper right corner of the task details. 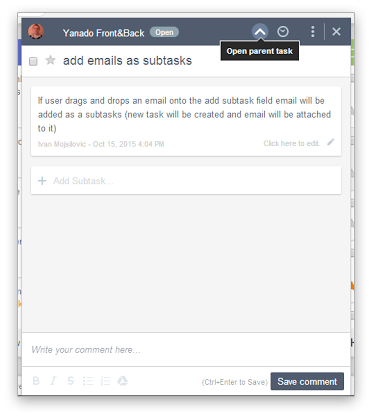 Now you can create subtasks from existing tasks. 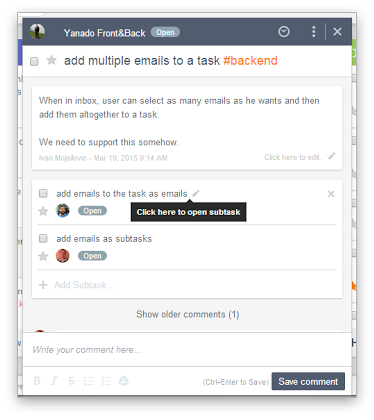 Open a task you want to add subtasks to and then drag and drop chosen tasks from your lists right into the task details pop-up window of the opened task. If you link a subtask to a parent task by mistake and you want to undo it or you just choose to unlink one of the existing subtasks, just click Task Options in the upper right corner and pick “Unlink From Parent Task” menu option. To follow your overall advancement, you can choose to either have subtasks shown or hidden in your lists. 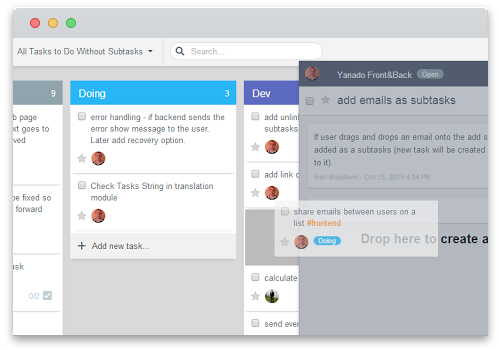 Clicking the Show filter in the Yanado bar will open a dropdown menu in which you can choose whether you want to include or exclude subtasks from appearing in the lists.